U.S. Defense Secretary Leon Panetta says the turmoil raging across the Muslim world is likely to continue into the days ahead, but he says the violence expected by the U.S. appears to be leveling off. 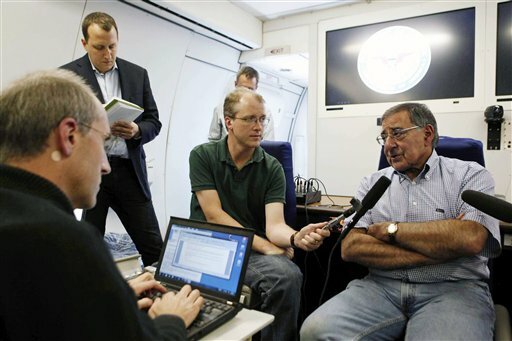 Asked about Sudan’s decision, Panetta said host countries have the right to reject such military deployments. The protests were set off by a low-budget, crudely produced film called “Innocence of Muslims,” which portrays Muhammad as a fraud, a womanizer and a child molester. A 14-minute excerpt of the film, which is both in English and dubbed into Arabic, has been available on YouTube, although some countries have cut access to the site. His visit comes amid escalating tensions in the region including tussles over several disputed islands in the East China Sea. It is Panetta’s third trip to the region in the last 11 months, reflecting the Pentagon’s ongoing effort to put a greater military focus on the Pacific region.